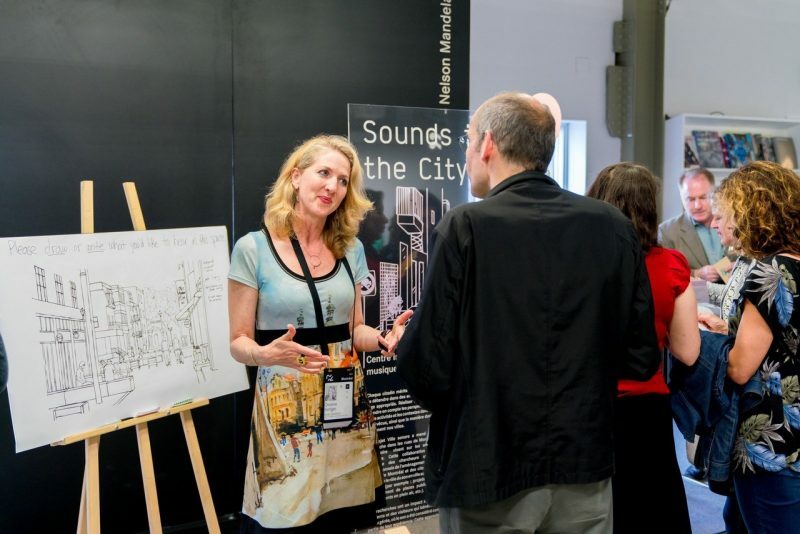 Sounds in the City was nominated by McGill and Quartier de l’Innovation as an exemplar of cross-sectorial collaboration and was featured at the Montreal Innovation Summit. The summit was held as part of the annual C2 Montreal conference that brings together more than 6,500 decision makers and creative minds from the fields of Commerce and Creativity. On Wednesday, May 23, two members of our research team (Dr. Catherine Guastavino, principal investigator, and Christine Kerrigan, multidisciplinary designer) presented our collaborative research involving academic researchers, private and public sector partners and members of the community to consider the role of sound in urban interventions. The discussion and activities centered around best practices for collaboration, how to measure social impact, and in the creation of a white paper on these topics.